Every autumn, Paris stages a one-night festival called Nuit Blanche (“White Night”) celebrating modern art. Kyoto, a sister city of Paris, holds the companion event “Nuit Blanche Kyoto” in various spots around the city for people to enjoy both Japanese and French modern artworks for free. Lighting up Kyoto’s night is a varied program including performances, exhibitions, and projection mapping on building exteriors. The theme for this, the fourth year of the festival, is “Fashion”. 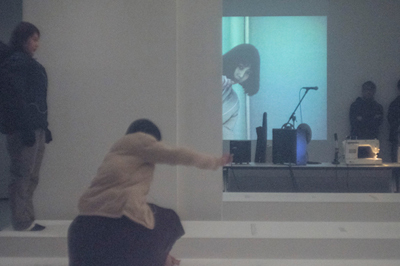 Nishio and his fashion label FORM ON WORDS will exhibit video works at Kyoto City University of Arts ART GALLERY. 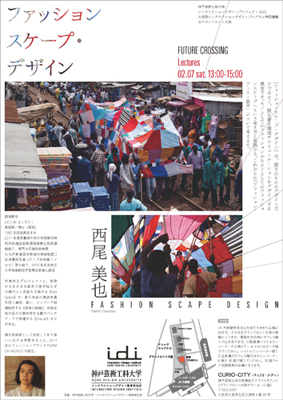 Nishio will join a symposium related in Nuit Blance Kyoto. 2nd ART! 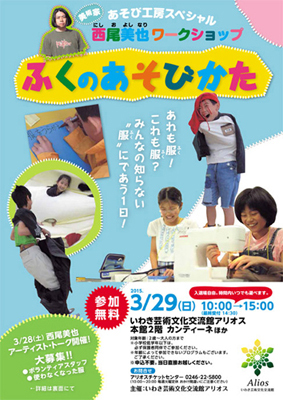 by CREATIVE REUSE will be held in Chofu city, Tokyo. It’s started calling for creators. 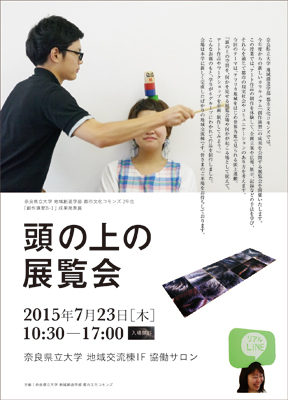 Those creators will join a workshop of collecting waste materials in Chofu city, then make an art work and exhibit it. Nishio will join the whole process as guest artist. For further information, please contact the organizer on the following website. 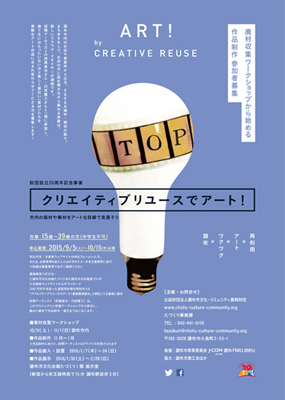 As a special exhibition for the Echigo-Tsumari Art Triennale 2015, Matsudai Nohbutai Gallery presents “Selected 100 Marginal Arts of Today” curated by art critic, Ren Fukuzumi. Since autumn 2012, Mr. Fukuzumi has been running a series of projects, Marginal Art of Satoyama and 100 Selected Marginal Art. The exhibition “Selected 100 Marginal Arts of Today” summarises those projects to date as well as aims to present “marginal arts of today”. Approximately thirty groups of participant spans from flower arrangement master, musicians of punk band, contemporary artist and their families, painter for public bath, handyman, ex-painter for movie signboard, safe guard, dancer to the elderly people of Matsudai village. Approximately 100 people who are passionate about something fun have been selected by Mr. Fukuzumi come together to Matsudai Nohbutai this summer and reveal not only the reality of marginal art of today but also the fundamental colours of the art itself. 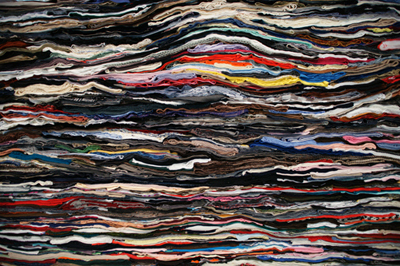 Nishio created a piece of installation artwork entitled “Clothes / Strata” at the gallery, by means of cutting and piling up thousands of old clothes collected from people around Matsudai area. 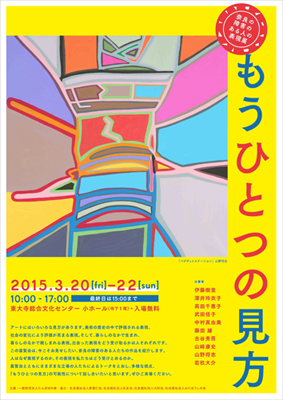 Besides his father, Junich Nishio, also participates in the exhibition, and displays his hand-made driving simulator. 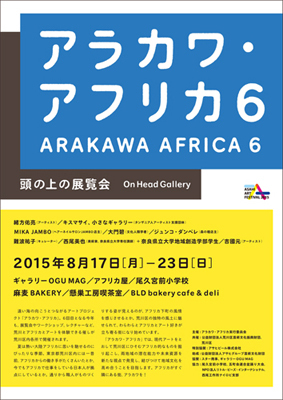 Arakawa Africa is an annual art festival which has taken place every summer in Arakawa ward, Tokyo, since 2010. 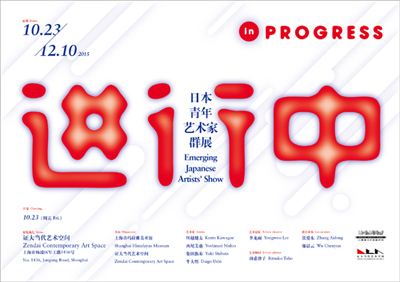 For Arakawa Africa 6 this year, a variety of events consisting of exhibition, workshops, lectures, etc. 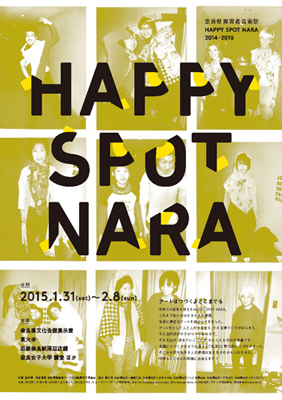 will be held at several places in Arakawa. Though Arakawa and Africa are very far away from each other, they have a lot in common in terms of scenery, people and many other perspectives, if you are to indulge your imagination. Arakawa Africa aims at identifying those African elements that exist in Arakawa, through the lens of contemporary arts, imagining Arakawa to be adjacent to Africa, and enhancing cultural potential and capacities of each region, together. In the exhibition “On Head Gallery” Nara Prefectural University students exhibits a variety of artworks which were produced under Nishio’s direction. The idea and title of the exhibition came from carrying on the head, which is a common practice in many parts of the world including Africa. Location: Gallery OGU MAG etc. Invisible Energy showcases the work of six contemporary Japanese artists practising in the aftermath of the 3/11 Tohoku earthquake and tsunami. Japanese art has a sophisticated and nuanced aesthetic history dating back centuries, but the work in Invisible Energy also exists within a social situation that has underlying tensions, affects and energies resulting from these recent disastrous events. Including staged performance, installation, community collaboration, video, and comics, the exhibition seeks to link the resonant energy of their work to the energy that one experiences in a place like Tokyo, one of layered histories, social complexities, codified and opaque behaviour and one which is hard to describe but easier to understand as a visceral experience. 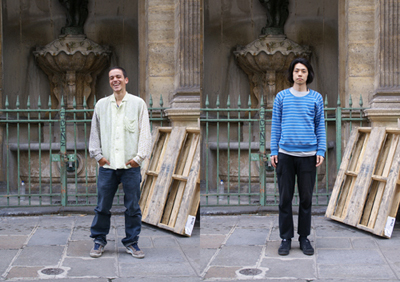 Yoshinari Nishio will be in Auckland from 19 February until 6 March 2015 to make a new version of his ongoing series Self Select (2007 – )on the streets of central Auckland. 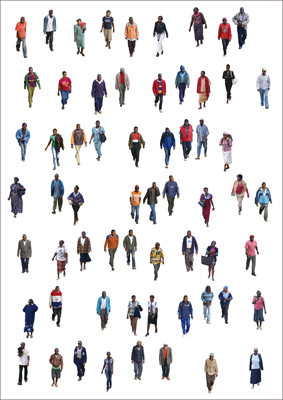 This project has seen him exchanges clothes with unknown pedestrians who happen to pass by him in various cities across the world and will be exhibited alongside photographs of the participants. Negotiating trust and unfamiliarity resonate through this work.